Netflix has become something bigger than what we could have ever expected. The streaming site is one of the most popular brands in the entire world, and has amassed their own programming, which has taken on a life of its own. From stand-up comedy to documentaries to full blown movies, Netflix has become a leader in programming and today, we wanted to take a look at 7 of their most interesting and intriguing originals to watch. 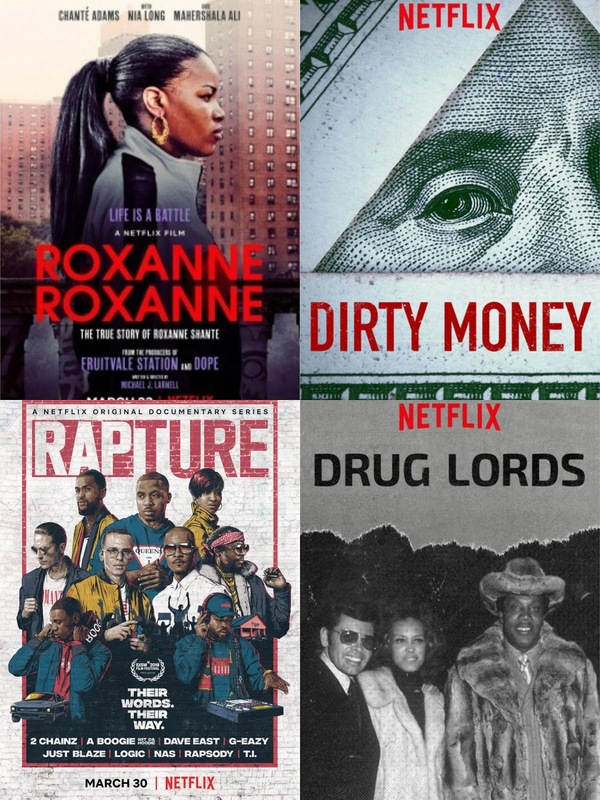 These are mostly Netflix Originals that released this year, and they range from original films to original docuseries and more. Let's get into it. -I usually try to avoid watching these now, because at some point, watching the same stories over and over again, can be tiring. Or at least it should be. However, these stories are slightly more in depth about the drug lords that we've seen and heard about a thousand times. If anything, that is the main reason why I included this one on the list. 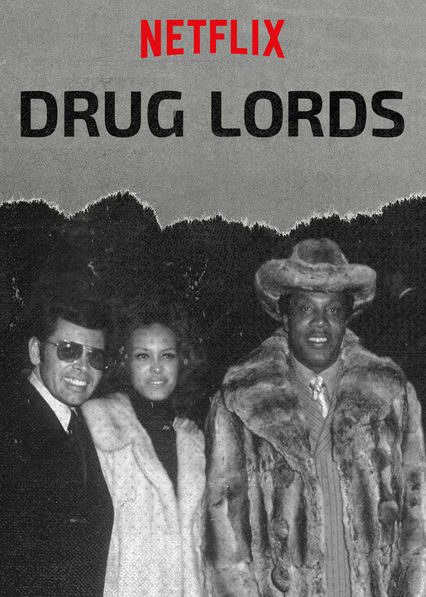 We saw American Gangster, the movie and the docuseries, but Drug Lords attempts to dig deeper into the story of Frank Lucas. They also provide more backstory and in depth analysis on the Pablo Escobar story, along with a look at the Cali Cartel. Perhaps the most intriguing is the story on the Pettingill Clan, an Australia based operation ran by a notorious woman known as Granny Evil. This first set of episodes leaves you wanting more, and there will be a second set of episodes coming soon later this year. I suggest you all tune in. -Hip hop has always been a viable part of our lives, and over the years, many women have come and gone through the ranks of the genre. One of the most underrated female MCs of all time remains Roxanne Shante, who isn't always mentioned with the legendary female rappers, but did more for the genre than most of the names you'd put above her. 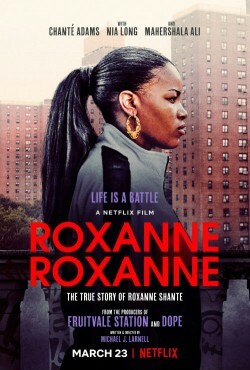 With that being said, Netflix created a film on her life titled Roxanne, Roxanne, which chronicles her life and upbringing in New York. Chante Adams plays the role of Roxanne, while Nia Long and Mahershala Ali playing great roles as well. Overall, this was a solid watch, with more light being shed on the rise of one of the most infamous female MCs ever. This wasn't my favorite on the list here, but it was definitely enjoyable and I recommend everyone give it a view. -When we look back at the shows that come from Netflix, a number of them are docuseries or documentaries that provide eye opening looks at industries that we have been taught to champion. This leads me to Dirty Money, an amazing docuseries that shows us what we already knew: corporate creed and corruption runs rampant. 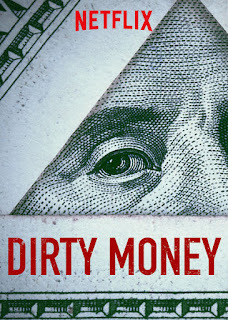 Six one hour long episodes make up the interesting docuseries that covers everything from the Volkswagon Emissions scandal to payday loans to HSBC money laundering, all the way to talking about Donald Trump. While at times you feel there is a little bit left out on every episode (in terms of the true dark nature of corruption), it covers enough in the corruption spectrum that even if you knew all of these things prior, you still come out of watching this feeling well informed. 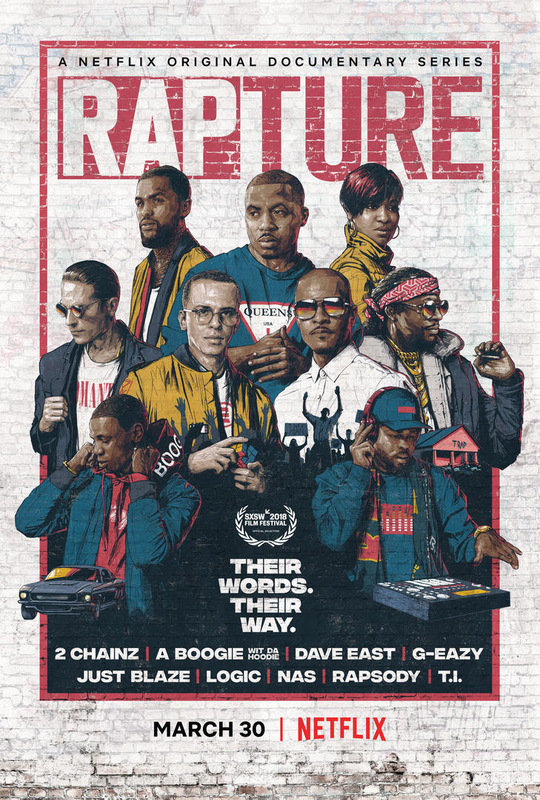 -Hip hop documentaries have always been a personal passion of mine, and Netflix gives us an interesting documentary series with Rapture. While not the most ideal group of subjects for the documentary, this is still an interesting look at the artists who are important in some way to the culture. 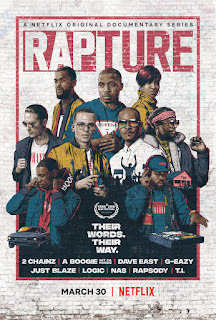 I could have done without Logic and G-Eazy to be honest, but watching T.I., Rapsody, and Nas definitely makes up for it, as they have compelling stories and episodes in this docuseries. The same could be said for 2 Chainz and Just Blaze, but I felt their episodes slightly paled in comparison to the aforementioned names. Overall, this is a solid docuseries that should get a second season with better choices. 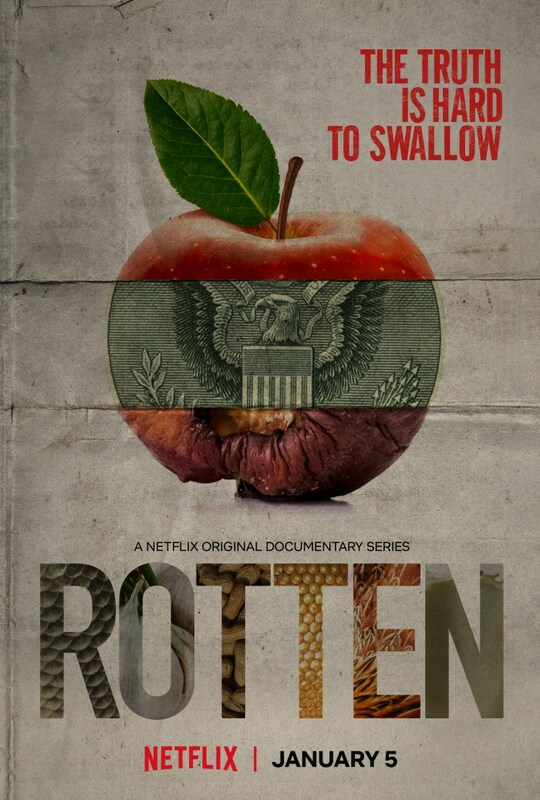 -A hard hitting docuseries that sheds light on perhaps the biggest crisis of our time, this takes a look at Flint, Michigan even beyond the water crisis. The town of Flint has suffered a number of devastating occurrences and the directors attempt to capture the harsh realities that followed. 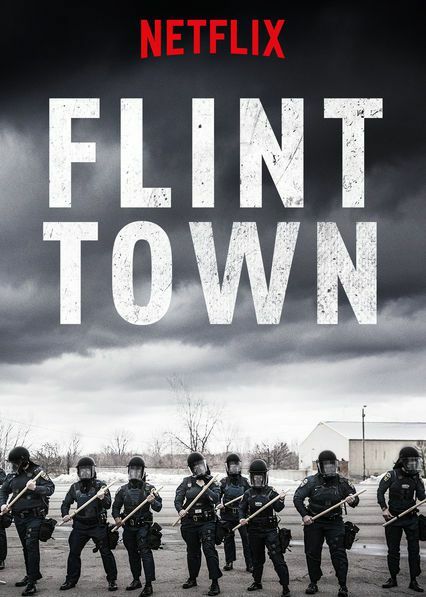 They spend a year or so with the Flint police department, and I'll be the first to admit, that lost me a bit when I watched, but overall, this is a well done docuseries that tries to cover the severity of the situation. In a way, it does teeter off into being a more in depth look into the lives of the police, but they balance it out with a look at the everyday people and those who actually matter the most in the town. Flint Town isn't perfect, but it is a good watch if you have free time. -This docuseries is about the corruption in the food industry and it is hard hitting. I'll be honest, I skipped out on watching these when they initially came to the streaming site, but one long day during the weekend sparked an interest to check it out. After many were duped by What The Health, you might be surprised that Rotten deals strictly in facts and not personal rhetoric, as it should be. Though this docuseries isn't the most exciting to watch, the stunning revelations about the food industry might alter your life for the better. Your diet might change for the better, your eating habits might change for the better, but most of all, you'll be engaged learning about the incidents in this. There are standout episodes and my personal favorite is "Garlic Breath", which shows a connection between two New Mexico farmers and a Chinese garlic company that wants more power than just the food industry. All in all, this was a solid watch and an eye opener in many ways. 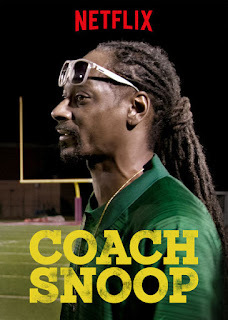 -While Snoop Dogg has done it all in the music world, he has begun to venture over to television and film. 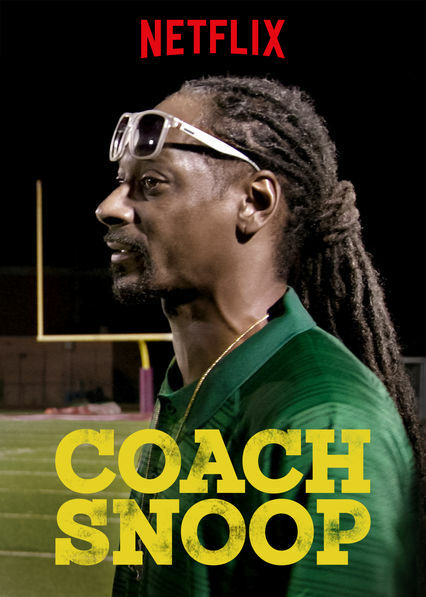 Originally an AOL series that was picked up by Netflix, Coach Snoop showcases the rap legend attempting to lead the players of his youth football league to greatness. We see a bit of Snoop's football acumen as a result of this, as well as his inspiration to the kids that play in the league. It shows Snoop in a different light than his previous television works have and I definitely recommend watching this in you have some spare time. It is a good natured docuseries.